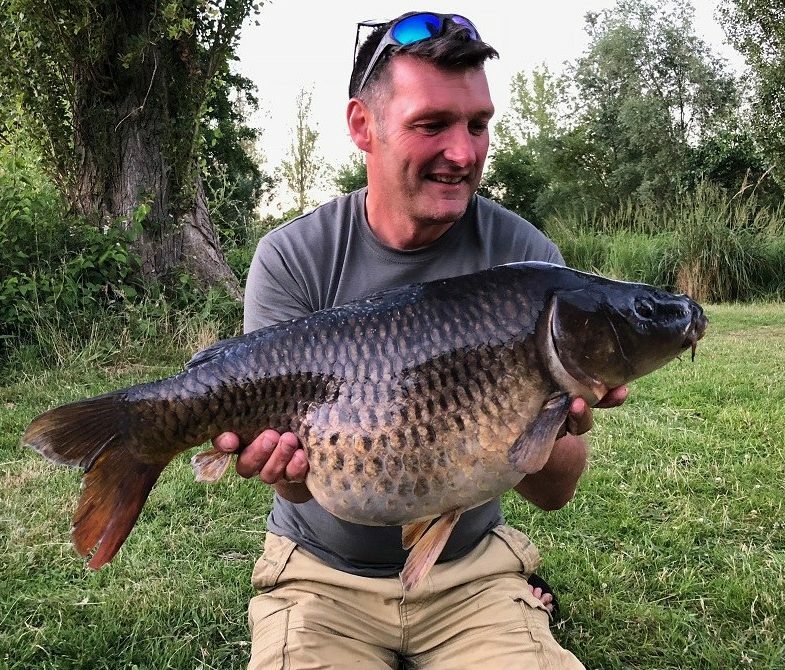 Top carp angler Rob Hughes is here to help you improve your surface fishing results with ten ‘off the top’ tips..
Read Robs surface fishing tips and enjoy catches like this…. When the hot weather arrives there is one thing that you should make sure is in your tackle bag, and that’s floaters. Carp love it on the surface and it’s one of the most exciting ways to catch carp, especially if you are short of time. Here’s Hughesy’s top 10 Hit n Run tips for short session floater success..
A lot of people tend to think that surface fishing is something to do in the middle of the day when it’s too hot to fish on the bottom. Nothing could be further from the truth. Two of the best times of day to catch fish on the top are first light and last light. This is brilliant if you only have a short period of time to go fishing as an hour before or after work is often more than enough to get a bite or two. You will find carp on the surface everywhere. 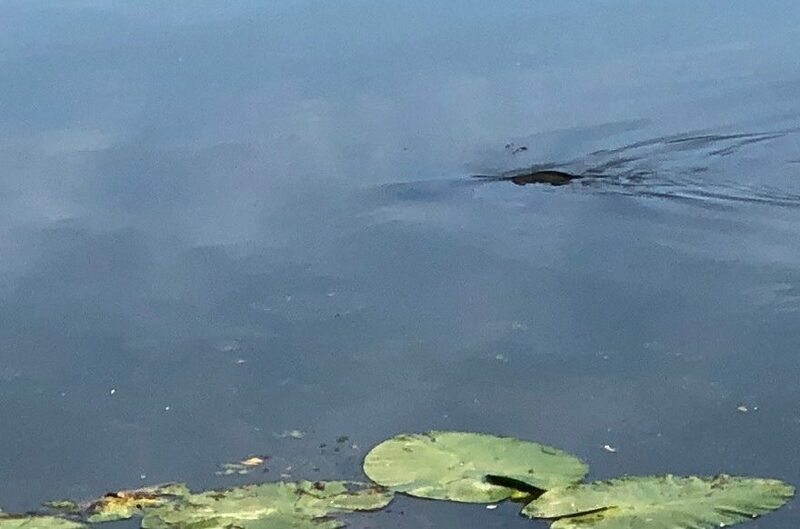 Open water, in the margins, and also close to Lilly pads. There is almost always a surface fishing opportunity, and they offer three very different ways of fishing for them. Free lining bread in the edge it’s really exciting. 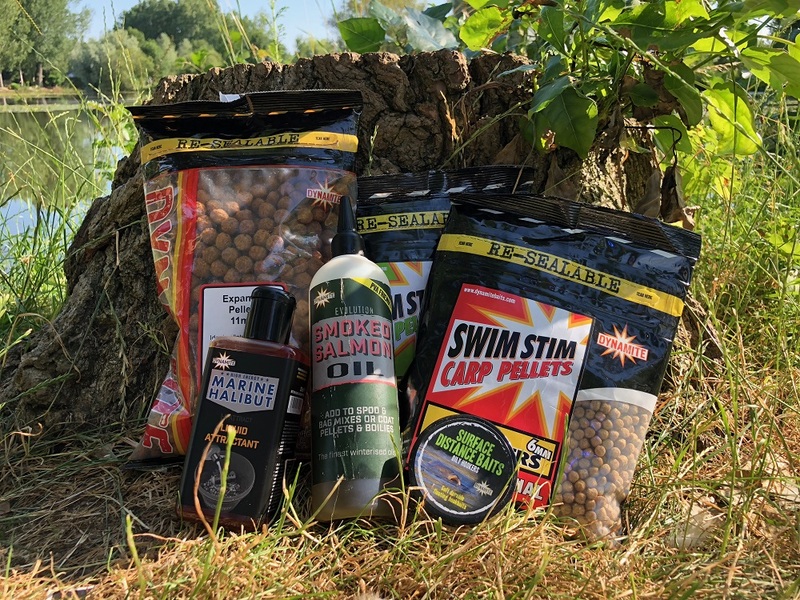 Open water tactics require more of a steady baiting approach, trickling bait over the top of fish to encourage them to feed and ideally compete, and then fishing next to pads targets carp that are lying up. All are mega exciting and remember what I said earlier. There is always an opportunity somewhere. 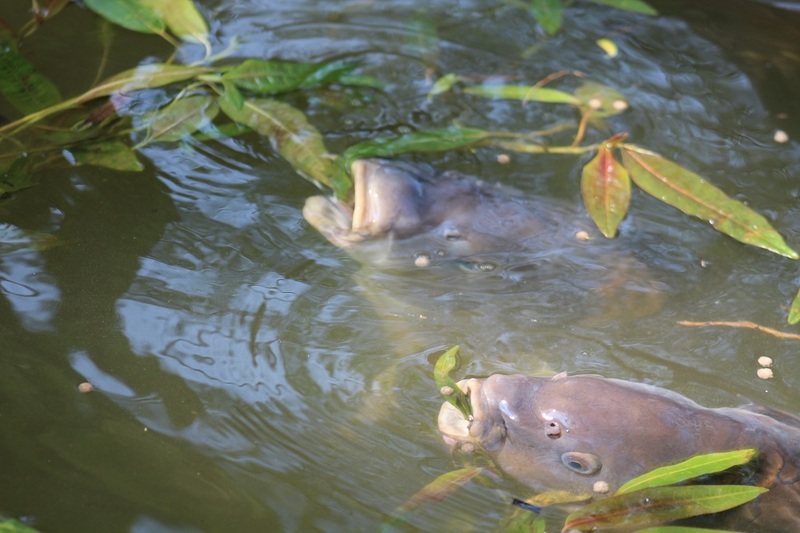 Carp have got very good eyesight, especially when looking up, although they do struggle to see things directly in front of their nose, hence why they sometimes miss a bait. A lot of people put this down to cleverness when in fact it’s just physically difficult for them to target something that directly on the end of the nose. Make sure that your tackle is well balanced and as disguised as it can be. Use zig and floater line, and a bolt bubble as opposed to a controller, and if possible bury your hook in your bait with just the point showing. Use a mix of 6, 8 and 11mm floating expander pellets. It makes the fish less wary of one particular target bait that is behaving differently from the others e.g. your hook bait, and it keeps the fish on their toes. Try baiting up with small baits, but because they don’t go as far in the catapult, it’s a good idea to make a small mesh PVA bag and nip it onto your rig before casting it out. That way you can get your pellets in exactly the right place. Birds, especially gulls are a real menace when surface fishing and they’ve got incredibly good eyesight. 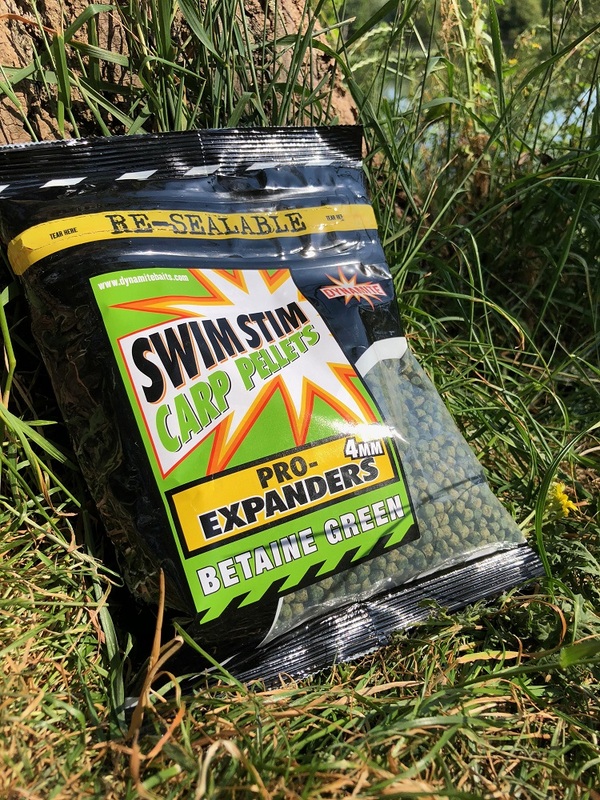 If you use SwimStim Betaine Green 6mm expander pellets the birds find them significantly harder to see and a lot of the time will leave you alone. Carp can see them perfectly from below though so it’s a win win situation. Don’t forget to add some oil to some of your floaters. I don’t add it to all of them as I like to have nice mix of both dry and oily pellets. Dynamite’s new Smoked Salmon Evolution Oil is probably my favourite, although the Hemp Oil version also comes a close second. I always carry a small separate pot, put some pellets into it and give them a coating of oil. Some oily, some dry once again keeps everything slightly different and floating at slightly different depths to confuse the carp. Hookbaits are often a problem when floater fishing. Banded pellets fall off, the hook stands out with hair rigged baits, and side hooked ones impede the point. My new favourite and most successful hook baits this year has been our oily fish Surface Distance Baits. I can’t believe I didn’t know about them before. They’re brilliant as you can hook them on and mould them round the hook too. 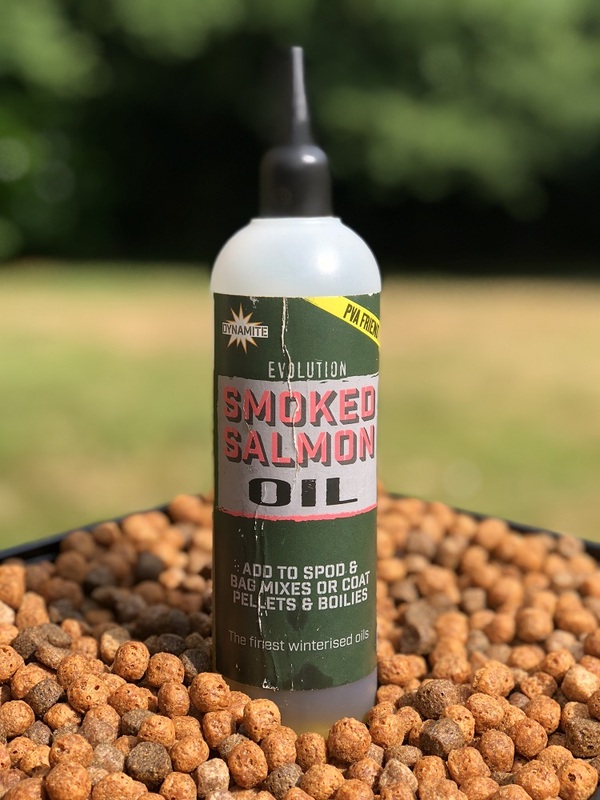 They dissolve very slowly in the water leaking off a fantastic flavour signal and since I’ve started using my catch rates have gone up as they are so easy to use. If the fish are playing hard to get, and try fishing for them just below the surface. Bait up with your floating pellets as normal but use a 12 inch fine hook link, as light as you can get away with. Use this with a slow sinking pellet and you’ll be amazed how often wary fish will take a bait as it sinking but won’t take one of the top. 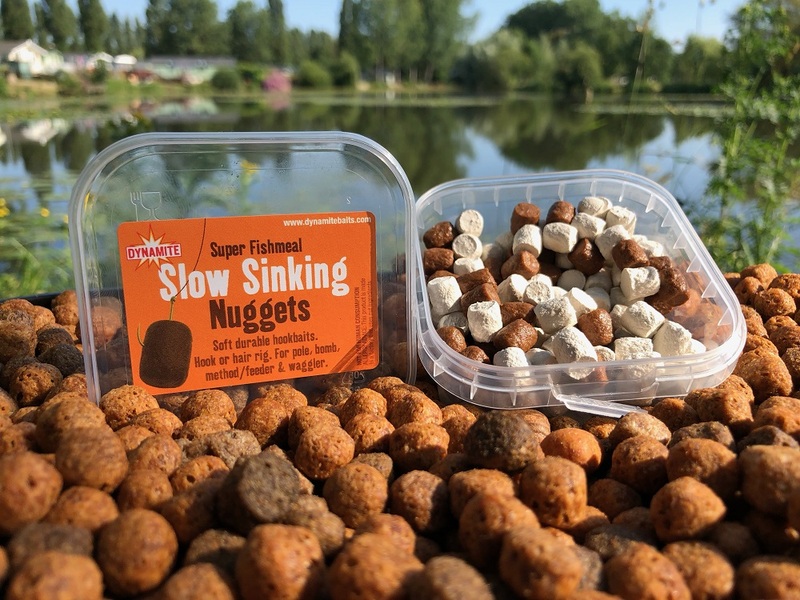 slow sinking nuggets are great to fool carp off the top as they sit just under the surface and make them less wary to big carp. Remember that patience is the key to successful floater fishing. Spend more time finding the fish and getting them feeding confidently that actually fishing for them. If you cast in too quickly you’re likely to scare them. Take your time and build their confidence, and surface fishing becomes very easy. Don’t complicate things and make sure that you have got everything that you need to hand and always keep the kit with you in a bag in the carp. Here’s a shopping list for you, and this is everything that you need bait wise for a successful trip or two fishing for them off the top. Enjoy it whilst the weathers good..